ExpenseWatch is a business management solution designed to help businesses monitor and manage company spending. This web-based expense management platform offers useful capabilities such as automated expense reporting and purchasing and payable invoices management to mention a few. The system is very flexible and is created to help small and medium-sized companies and non-profit organizations to spend efficiently, and control their expenses by providing them with complete visibility of all company-related expenses. ExpenseWatch simplifies the way employees submit expense reports for auditing and reimbursement while executives and managers take a step back and analyze their spending, with whom, and the nature of the expense. The software automates the entire expense management process while reducing manual involvements. Money is critical to any business or non-profit endeavor, which is why it is important for businesses and charity organizations to know how their money is being spent. ExpenseWatch gives businesses complete, real-time visibility of their expense flow. This simple and straightforward web based expense management software is designed for small to medium sized businesses and organizations loaded with tools to help them control their expenses and spend more confidently. With its expense reporting module, ExpenseWatch simplifies expense reporting by automating the whole process. Employees no longer have to spend lots of time creating expense reports as the system does it all – from expense report creation and approval through to reimbursement. The module also helps companies and organizations graduate from traditional document management processes to a paperless document transactions and storage. Spending management is also automated. With ExpenseWatch, users get a robust online system that streamlines the purchasing process, whether you are buying goods or paying for services. The software provides access to online company catalogs and punch-out to preferred vendors. All users need to do is create and approve purchase requisitions, purchase orders, packing list reconciliation and invoices. Managing payable invoices can be a pain, especially if you don’t have a systematic way of organizing them. With ExpenseWatch, you get a paperless, online system for vendor invoices. The software helps you organize and manage all your vendor invoices with tools to allow employees to effectively and efficiently create, approve, and pay vendor invoices. There are popular and widely used solutions in each software group. But are they necessarily the best fit for your organization’s specific requirements? A market-leading software product may have thousands of subscribers, but does it offer what you require? For this reason, do not blindly spend on popular systems. Read at least a few ExpenseWatch reviews and consider the aspects that you wish to have in the software such as the fees, main tools, available integrations etc. Then, choose a few solutions that fit your wants. Check out the free trials of these apps, read online opinions, get clarifications from the maker, and do your homework thoroughly. This profound groundwork is certain to aid you choose the most excellent software application for your firm’s unique requirements. How Much Does ExpenseWatch Cost? 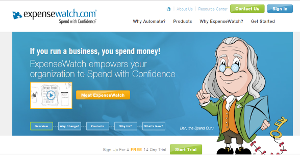 ExpenseWatch offers an all inclusive pricing deal with both monthly or annual subscription options. Contact the vendor directly for a quote, or ask more about their enterprise pricing scheme. We realize that when you make a decision to buy Expenses Management Software it’s important not only to see how experts evaluate it in their reviews, but also to find out if the real people and companies that buy it are actually satisfied with the product. That’s why we’ve created our behavior-based Customer Satisfaction Algorithm™ that gathers customer reviews, comments and ExpenseWatch reviews across a wide range of social media sites. The data is then presented in an easy to digest form showing how many people had positive and negative experience with ExpenseWatch. With that information at hand you should be equipped to make an informed buying decision that you won’t regret. What are ExpenseWatch pricing details? What integrations are available for ExpenseWatch? If you need more information about ExpenseWatch or you simply have a question let us know what you need and we’ll forward your request directly to the vendor.